These words were penned in the Luminary (a St. Louis LDS newspaper), why? From the life of Elizabeth Ann Whitney: In its early days she was designated by the Prophet Joseph Smith as “the sweet songstress of Zion.” She was among the first members of the Church to receive the gift of tongues, which she always exercised in singing. The Prophet said that the language was the pure Adamic tongue, the same that was used in the Garden of Eden, and he promised that if she kept the faith, the gift would never leave her. It never did, and many who heard her sing never forgot the sweet and holy influence that accompanied her exercise of this heavenly gift. The last time she sang in tongues was on the day she was 81 years old. It was at the home of Sister Emmeline B. Wells, as the latter having arranged a party in honor of mother Whitney’s birthday. 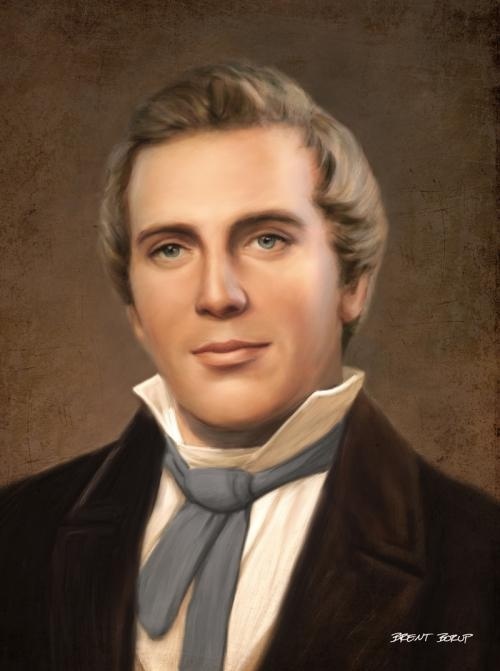 At a meeting held in the Kirtland Temple, Sister Whitney sang in tongues and Parley P. Pratt interpreted, the result being a beautiful hymn descriptive of the different dispensations from Adam to the present age. Andrew Jensen, LDS Biographical Encyclopedia, (Salt Lake City: Western Epics, 1971), 3:563-564.